Title insurance provides an insured party with certain indemnification rights against the insurer for losses incurred by the insured because of defects in the insured interest existing as of the policy date. Title insurance provides coverage against existing title defects and excludes coverage for defects in title that are created after the date of the policy. (a) Schedule A sets forth the date of the commitment, the type of policy to be issued (e.g., owner’s policy or loan policy), the policy amount, the proposed insured, the state of the title and who holds record title, and the legal description of the property. (b) Schedule B - Section I of the commitment specifies the requirements that must be met before a final policy will be issued. The standard requirements include payment for the interest in the land or mortgage to be insured, the payment of the insurance premium and other charges for the policy, and execution and recordation of the instruments creating the interest in the property or the mortgage to be insured. In addition, Schedule B - Section I may list other requirements, such as the release of existing liens on the property, filing of a death certificate if one of the existing record title holders is deceased, and proof of payment of special assessments. (c) Schedule B - Section II sets forth standard exceptions to coverage under the policy. These exceptions include (i) facts that a survey would disclose (such as recorded easements or encroachments), (ii) rights or claims of parties in possession (e.g., tenants under leases), (iii) mechanics’ liens not of record and (iv) changes in title occurring between the date of the commitment and issuance of the policy (such as entry of a judgment against the record owner of the property). If any exceptions listed are not otherwise satisfactorily resolved, then any final policy will not provide coverage for losses incurred as a result of such matters. (d) The Conditions section of the commitment defines the limits of the insurer’s liability and certain general exclusions from liability. For example, the insurer will not be responsible for defects, liens, encumbrances or other matters affecting the insured interest if the insured knows of such matters and fails to disclose them in writing to the insurer. If the conditions and requirements of the commitment are met, the title insurance company will issue a title insurance policy. In exchange for a one-time premium, paid when the policy is acquired, the insurer agrees to indemnify the insured, up to the face amount of the policy, for defects found in the insured title that existed on the date the policy was issued. This indemnification includes indemnification for losses incurred by the insured as a result of on-record or off-record defects. "On-record" risks include matters that can be determined from the recorded documents themselves, such as mistakes in a notarial acknowledgement, a missing signature on a document, recorded liens or, as an obvious example, a previously recorded conveyance of part of the property to a third party. If the commitment and, subsequently, the policy, fail to identify such on-record matters, then the insurer may be liable for negligence in preparing the commitment, and may also be required to indemnify the insured if the insured incurs a loss as a result. Known on-record risks are listed in Schedule B of the title policy, and will be excepted from coverage. Defects not revealed by a search of the public records are referred to as "off-record" risks. These include mistakes made by the recorder in filing or indexing a document, unrecorded leases, encroachments, and certain liens. Also included as off-record risks are factors not readily ascertainable from the recorded document itself, such as forgery, fraud or duress, or incapacity of the person signing the document. Unless the insured is aware of the off-record risks, then the policy will cover losses incurred by the insured by reason of such risks. No coverage is provided for title defects, liens and encumbrances, adverse claims, or other matters created, assumed, or agreed to by the insured. Because the standard policies of title insurance are replete with exclusions and exceptions from coverage, most insureds elect to obtain endorsements to their policies. An "endorsement" is an affirmative statement by the insurance company that generally extends the basic coverage under the policy, and reflects an affirmative agreement by the insurer to assume certain specified risks. Endorsements are valuable tools available to insured parties. Some endorsements are available on all properties and to all insureds. Others are available on residential or commercial properties only and some are available only to owners or only to lenders. In connection with many endorsements, the title company will often do additional research to verify that the conditions to issuing the endorsement have been met. For example, to issue a zoning endorsement, the title company must first verify with the city or county zoning authority that the zoning classification being insured is actually correct for the subject property, and that a particular use of the property is allowed under that zoning classification. 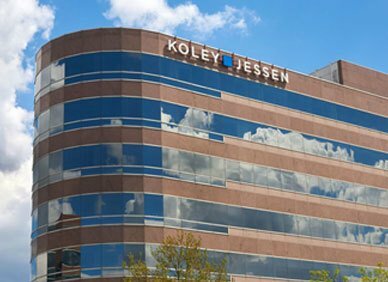 If you have any questions, please call any of the attorneys in the Koley Jessen Real Estate, Environmental, and Natural Resources Law Practice Group.